Lovingly illustrated by award-winning artist Tomie dePaola, this stunning collection of stories brings some of the most memorable and significant figures in the Old and New Testaments to life. Adam and Eve, Abraham and Moses, Peter, John, and Jesus are all vividly portrayed in wonderful detail. The original Bible text captures all of the drama of the best-loved stories from the Bible, including Noah and the flood, Jonah's encounter with a great fish, and the death and resurrection of Jesus Christ. 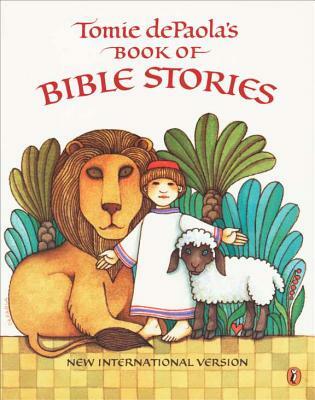 Here is a beautiful collection of Bible stories, perfect for gift-giving.